Praktica time again, with all the usual caveats with regard to image quality! 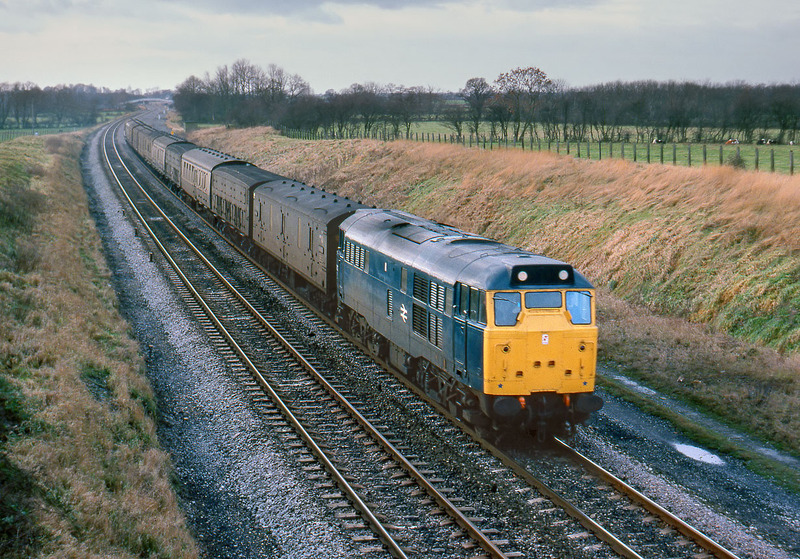 31132 passes Compton Beauchamp with the 4A21 11:55 Bristol Temple Meads to Old Oak Common empty newspaper vans on a very gloomy 15 December 1979. The main interest here is the inclusion of several Great Western Railway designed (although BR built) Siphon G vans in the formation. By this time classed as NNV under the TOPS system, these vintage vehicles did not survive in service for much longer.